I really enjoyed this episode. Swedish Chef doing "Rapper's Delight" seemed like something so obvious that I'm shocked it hasn't been done before. Oh, forgot Sam's unlikely infatuation with Janice. - Who has a vat of pudding at home? - You know America struggles with portion size. Fozzie wants to make up for the t-shirt cannon by getting out the candy slingshot and some jawbreakers. Swedish Sushi = Sushi Rolls with a meatball in them. Obviously. Pepe with Statler's teeth. "Look at me! I'm Bradley Coopers!" Beaker does make a great Piggy: "Memememe Moooooi. Me me me me me ME ME ME!" Ed Helms was gold in this episode. - I don't know, maybe The Office? - OH, WE WORKED TOGETHER? Just to have the Swedish Chef singing Rappers Delight made this whole Muppets revival worth it. If there's a full video, I want to see it. Sam singing Wind Beneath My Wings doesn't make a lot of sense for an actual eagle. Scooter looks very weird without glasses. Floyd wears sunglasses over his usual sunglasses. Bunsen and Beaker appear with each others clothes, and if it happened outside work, they don't owe them an explanation. Statler isn't just happy to send Fozzie to the wrong restaurant. He also wants to drop by and put a "sucker" sign. Pepe with Statler's teeth just slayed me, but the teeth should have been Statler-sized, not Pepe-sized. I would buy a whole album of Swedish Chef rapping. Continued awesomeness from the guys (and gal) in the band. They have now had two out of four episodes that relied on Kermit manipulating Piggy into changing her behavior. They can stop with that now. Maybe I'm just getting used to them, but the muppets with new performers are getting better. Statler and Waldorf don't quite work for me, but Fozzy and Kermit seem much closer. Piggy was always pretty darn good. Pepe is still my favorite post-Muppet Show character, okay. "Someone peel me and eat me." Did anyone else notice the Swedish Chef licking donuts and putting them back in the background of one shot? The show is definitely growing on me. The main thing I remarked to Mrs. CoB while watching this one was "There hasn't been enough Muppet singing so far." Of course, the original show had too MUCH Muppet singing imo, but I'm sure there's a happy medium. This is the first episode of the show that didn't somehow leave me feeling dirty and used and hating myself. Actually, this episode felt closer to right than the previous three. Several laugh-out-loud moments for me, and it seems like they managed somehow to bring joy back to the show. Joy had been severely lacking earlier, and it's part of what I always loved about The Muppets. I was ready to quit watching after last week's show. This episode has me feeling better about my decision not to delete the DVR timer. I think there were two ways of resetting the storyline: Either the crew realizes they don't care about Piggy and she's still a self-absorbed bore once one of her famous friends doesn't appear, or Piggy is outstaged by someone else (guest-starring, dunno Jenniffer Lawrence, McConnaughey, Robert Downey Jr or Sandra Bullock) and suddenly doesn't want to go out with them anymore. Heck, Ed Helms was already RIGHT THERE and killing it with the rest of the gang. How did that not make her inflamed with jealousy? Maybe she doesn't think Ed Helms is bigger than her? Despite being on the Hangover, the "leading man" of the series is the Bradley Coopers (aaaaand I can't stop laughing thinking of Pepe with the dentures). Seeing a leading woman/man outstage her from her own crew would send Piggy flying (uh, well, Kermit would be the one doing the flying, IIRC) with jealous rage. Either way, it would be better than to have Kermit have to be a jerk all the time. Oh dear, that embarrassing thing where you tweet something out about a show and the tweet gets favorited by a writer for that show. eek! Beaker's Piggy impression killed me. Kermit manipulating Piggy doesn't really bother me that much because he's always been the one to rein her in and he's got his own agenda where Piggy is concerned. Just as Piggy as her own agenda where he's concerned. I forget what the Floyd line was that made me roll this week but there was one. The thing with Janice telling Kermit it was going to be astral projection day, Kermit asking if she needed the day off, and then Janice saying she'd be there but *not be there* was also hilarious and just SO SO SO JANICE-Y. I'm glad Janice is getting so much screen time. The song choices all made good sense to me except for Wind Beneath My Wings. I couldn't have been the only one sitting there going, "but you're already an eagle and you wouldn't be ogling someone like that if they were actually the wind beneath your wings." I want to talk about Sam for a second. He went from crushing on Janice to stalking her by following her home. THAT ESCALATED QUICKLY. I hope they can get Bradley Coopers to do the show. Because a whole episode of Pepe saying Bradley Coopers would be awesome. I've been thinking about this for a bit, and I think I know why this episode, out of all of them so far, felt so much better than the others. It's because, with The Muppet Show or Muppets Tonight, we always saw the crew having their backstage squabbles but we also always saw them PUTTING ON A SHOW. They always had to set aside the drama of offstage because there was this thing that had to happen on stage. And we, as viewers, always got to see the full performances of what was happening on stage. We got to see the joy, the artistry, the theater craft... We got to see full songs and full sketches; we got to see them leave behind all the squabbling to do the thing that they were all together to do. And it was full of joy and artistry, and it felt good to watch the Muppets perform, like, actually perform. So in this last episode we finally got to see them perform. We didn't get to see any full performance of any single thing, but we got to see them full of joy, and exhibiting artistry, and it felt fun and alive. It felt like many of the YouTube shorts we've gotten over the past few years. It felt right and good. So I don't know how to make this fix stick. The "late night show" format is not the variety show format, which is what let us watch all those great musical numbers and sketches in the previous shows. But damn, I really liked this episode. Dare I have faith that it will continue to improve? Oh my god the karaoke--I got chills. It was Muppets being Muppets, and I hope and pray that the people running the show manage to find ways to work a bit more of that in. Sam went from infatuated to creepy real fast though. With those eyes, how could he NOT be creepy in any romantic context? I am finally enjoying the show. Oddly enough, I'm okay with Kermit and Piggy both being manipulative and liars to each other. Piggy holds the power - she's no victim. Swedish Chef forever and ever. And the show was on hiatus this week? For why? So they could put a Charlie Brown special on at a time when little kids watch network TV. I was surprised there was no new muppets this week. 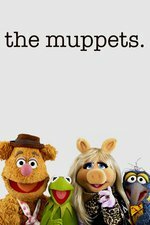 I have been watching them on the abc website the day after airing so I was like, "no new muppets? what?" - it was actually nice of abc to make the great pumpkin available to stream, though. Even if it's not the same thing as muppets - it does have snoopy so okay. This was definitely the best episode so far and it was great to see some Muppet singing. I liked that Sam is the network standards guy but didn't like that they made him a stalker.